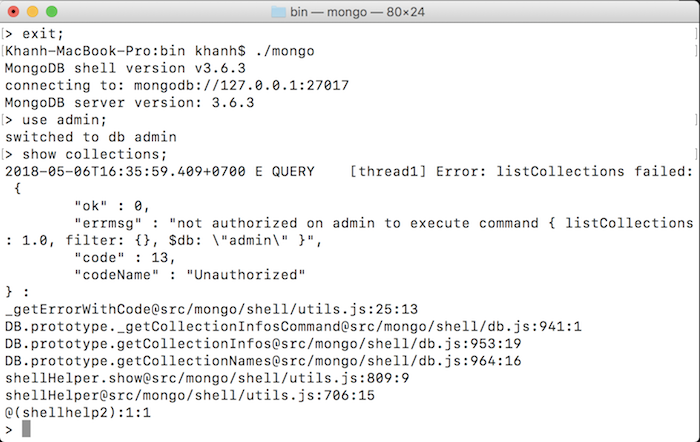 By default, you can start to use MongoDB server without having to log in with any user as I did in the tutorial how to install MongoDB on macOS. 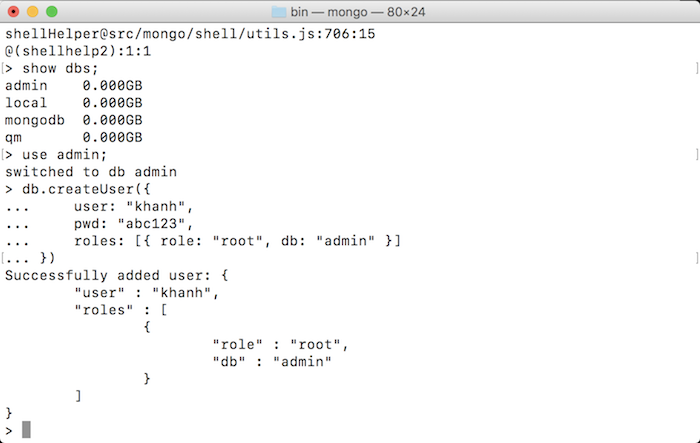 But in some cases, like the production environment, it’s much better to work with the MongoDB server using a user. In this case, you need to start MongoDB server with “–auth” parameter and use the user to log into MongoDB server. 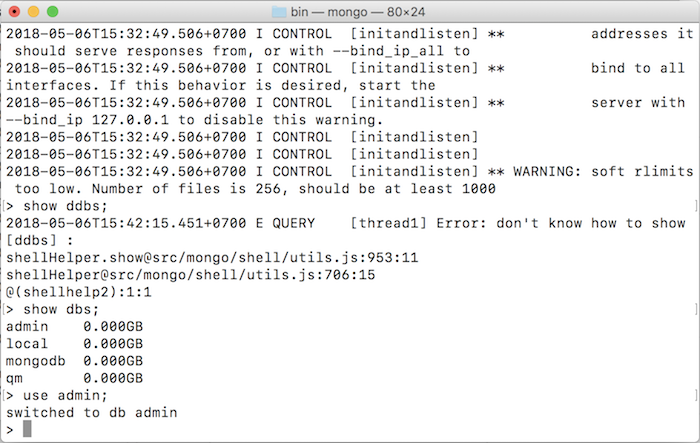 In this tutorial, I will guide you all how to create new and grant access to MongoDB user to use. <username> is the name of the user that you want to add. <password> is the password of this user. <role1>, <role2> is the user’s role declaration for the database to which it is assigned. We have the MongoDB default roles https://docs.mongodb.com/manual/reference/built-in-roles/ and the roles which we can create. <db1>, <db2>: although we have declared using a database (in our example database “admin”), this user can also be used in other databases, specify in this command. As you can see, in the above statement, I added a user named “Khanh” and the password is “abc123”. This user can only be used with the admin database with the Superuser role “root” https://docs.mongodb.com/manual/reference/built-in-roles/#superuser-roles. OK, now we can use this new user to log into MongoDB server. <database> is the name of the database that the user has been assigned. ./mongo -u "khanh" -p "abc123" --authenticationDatabase "admin"